The all new Bog-Pod Rapid Shooting Rest (RSR) is compact, collapsible, and portable, making it the perfect shooting rest for outdoor enthusiasts. The Rapid Shooting Rest features Bog-Pod’s Switcheroo® Ultimate Shooting Rest, giving the shooter a full 360 degrees of target acquisition. Easy to store in a backpack, and quick to set up, this rest will give you the accuracy and range you need to make that big game shot on the fly. The pic of that scope sighted muzzleloader reminds me of an internet argument I got into with someone who claimed that you could not hit anything with a black powder rifle, even with a “magnum” load of powder, past 100 yards, because the balls hit the ground after that distance. Sheesh! I like this little thing. This would be perfect at the indoor range I use sometimes for sighting in a couple of small caliber rifles. There is a shelf at just about waist height that is extremely awkward to use with bags. Too high to kneel, to low to bend over while standing. And will they send overseas? Just what I want for scoped rifle matches with rifles that lack bipods. $44 @ optics planet. Overseas shipping will depend on the seller’s abilities to export. Battenfeld Technologies is now owned by Smith & Wesson. i’ll just re- purpose my divining rod. 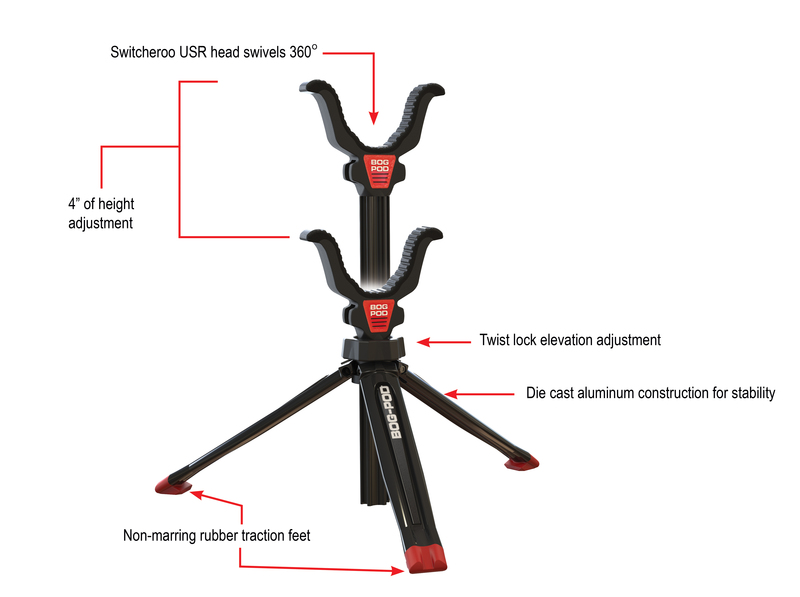 I have a camera tripod that looks like that. All I need is a yoke like they have and I am in business. If it can hold the boat anchor that is my Nikon plus lens it should be good enough for my rifle.